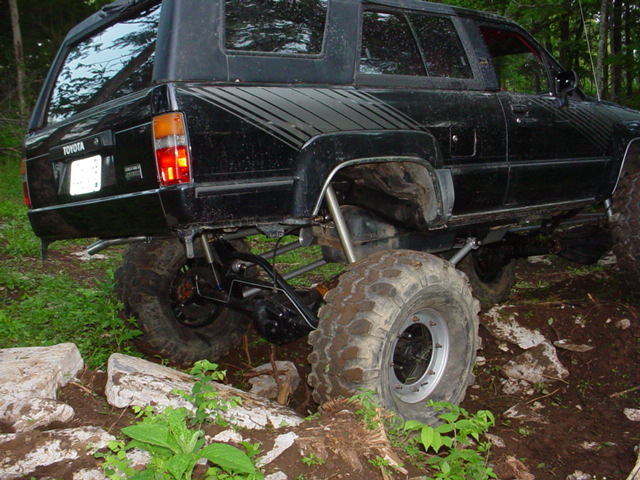 When putting together the build-up of my 4Runner, I had to decide on what to do with the rear suspension. I had worked with leaf spring suspensions for several years, but I was interested in exploring the options of other suspensions. I went to see Rocky Jannuzzello at Essentially Off Road in Murfreesboro, TN to see what his thoughts were. 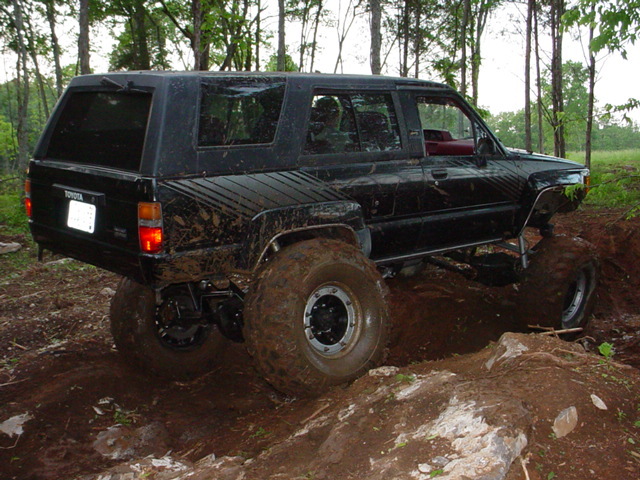 Just as a little background, Essentially Off Road has been around since early 1998 - a long time in the off road community. They do everything from sales and installation of bolt-on accessories to custom and standard cages for a wide variety of vehicles. 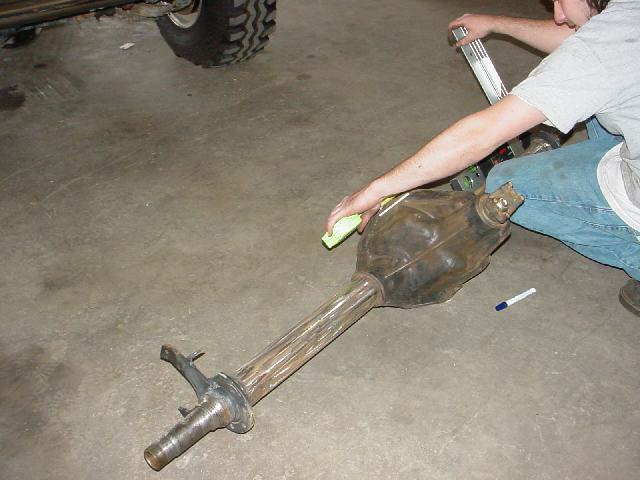 They are also experienced in building full custom suspensions for the average trail rig or even for competition. Needless to say - I felt comfortable that they could put together a suspension that would work well. 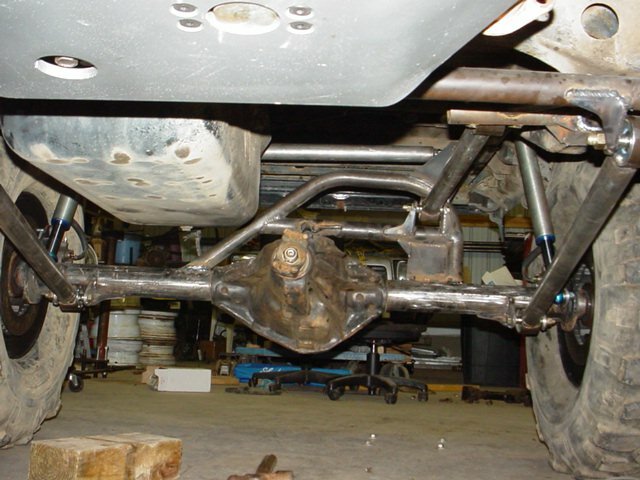 Rocky got together with their fabricator Jimmy and came up with a 3 link suspension that would work to put a Dana 60 axle under my 4Runner, while being able to keep gas tank in the stock location. This saves some money - making a custom fuel cell or tank relocation unnecessary, but the tank can always be moved later if the additional ground clearance was wanted. I like saving money, so I liked this idea. I was able to help out during the installation and build-up, getting to see the process from start to finish. I have to say, I was impressed at how quickly experienced suspension builders can put an idea into action. 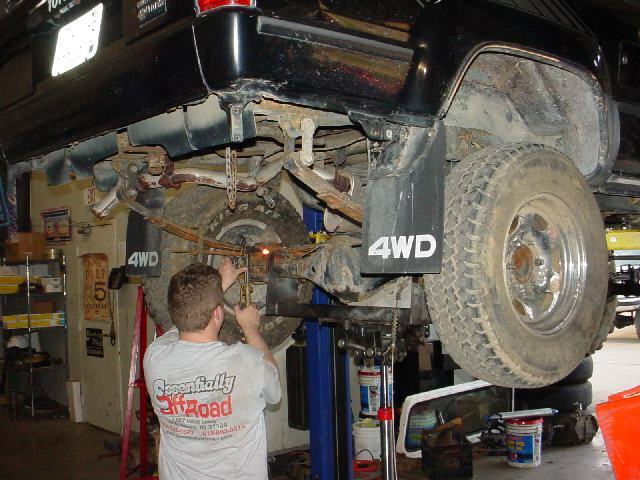 While Rocky was gutting the rear suspension of the 4Runner, Jimmy was already setting brackets in place on the axle. Anyone who has ever worked under the rear of a 4Runner is aware that things can get tight when trying to fit all of the necessary parts into place. 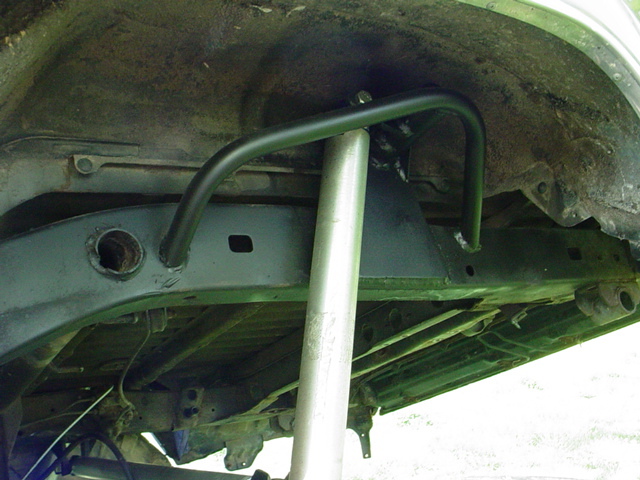 Jimmy took this in stride, bending up the axle tower assembly that would be the mounting point for the upper link as well as the panhard bar. 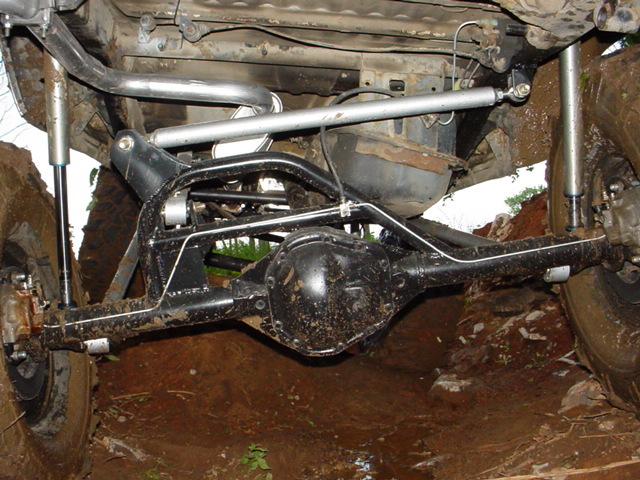 EOR doesn't like things to break out on the trail, so when they put this suspension together they did it right. 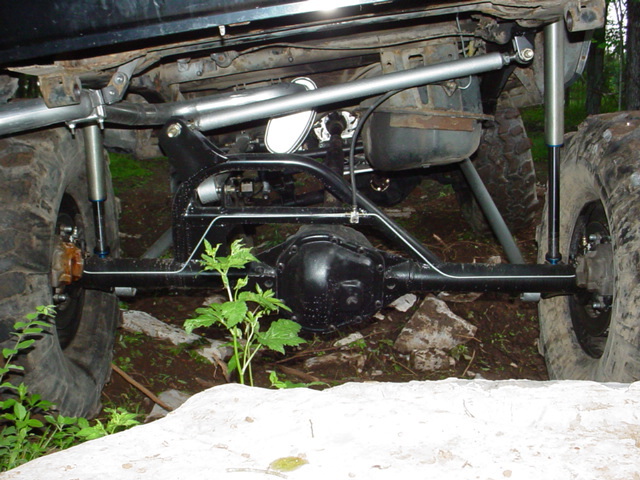 The 2 lower links and the single upper link are all constructed of 1 3/4" x .375" wall DOM to handle the abuse that suspension links often see. 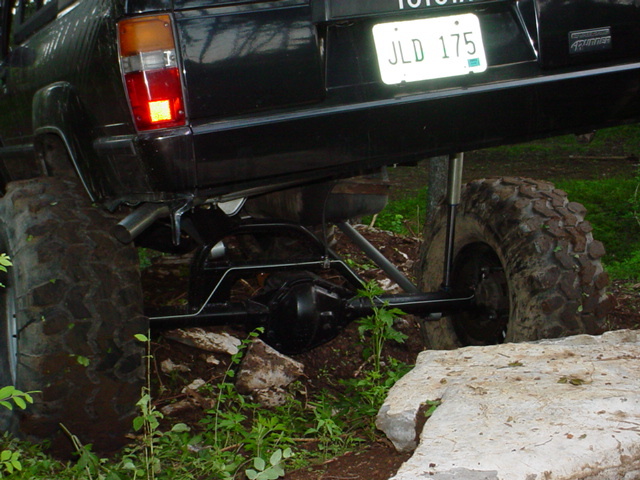 Super Flex joints were used at each end of those 3 links, providing firm, quiet, and strong connection of the axle to the frame. 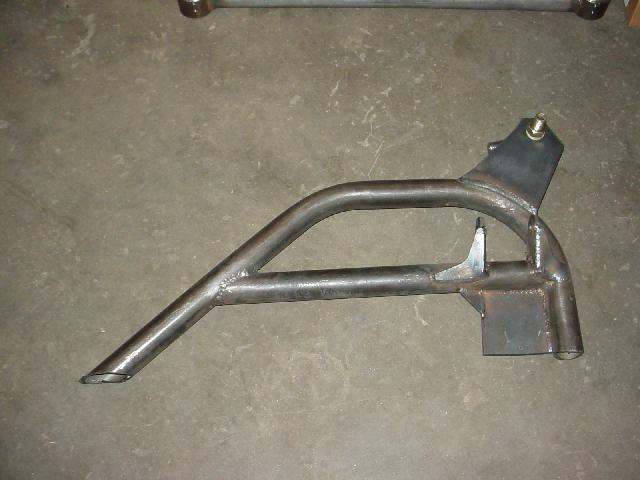 The panhard bar was built out of 1 1/4" x .250 wall DOM with 3/4" x 3/4" spherical rod ends. One curve ball I threw at Essentially Off Road was that I wanted to use a pair of Fox's new Air Shox for this suspension project. They had done everything from coils, to 1/4 eliptical to coilovers before, and were confident then could set the Air Shox up to work well too. As I would find out later - they were right. 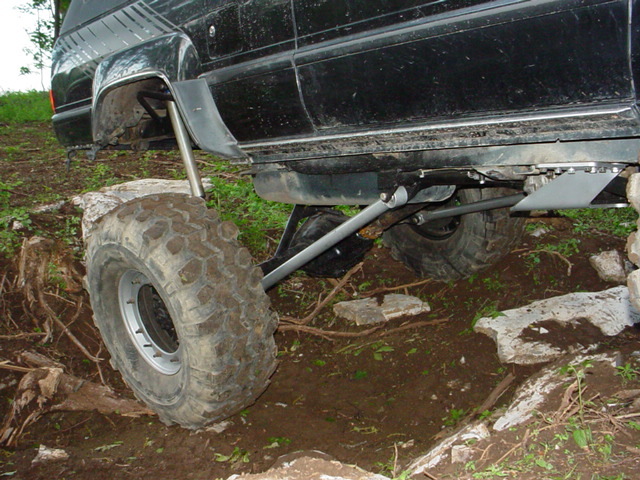 The stock body of the 4Runner with no body lift made it difficult to find a spot to locate the upper mount for the Air Shox, but Jimmy was able to build these nice towers outside the frame in the fender well area that really look trick, and work well. Even under full flex, there is no binding or clearance issues... impressive! With everything in place, and the Air Shox tuned - it was time to put things to the test. Rocky took me to a local area he had arranged for us to use and I was able to get a feel for the work EOR had done. Being new to link suspensions, I had heard horror stories about vehicles raising or lowering excessively under acceleration or hard braking. EOR's 3link exhibited none of these handling quirks - a testament to their experience in custom suspension work. From the start I wasn't after some extreme flex suspension, but I was after a suspension that was flexible, had plenty of travel for my uses, and worked well under a variety of conditions. EOR met those goals just as easily as they have met the goals of customers looking for tons of flex. I have to say I am impressed. 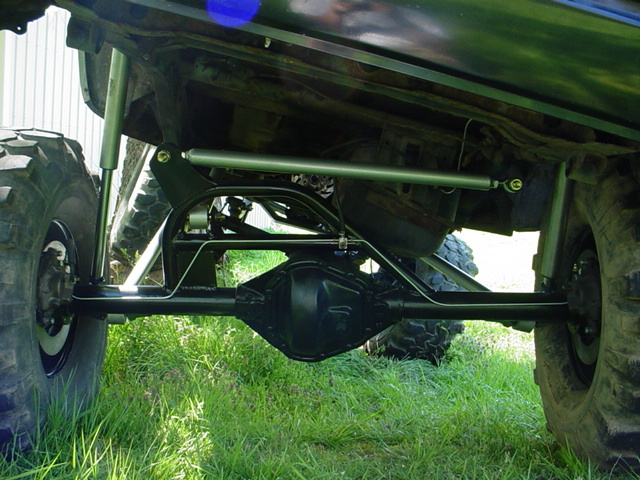 I took Essentially Off Road a 4Runner with a stock rear suspension, and left with a custom 3 link suspension that handles well on and off the road. With the work they did on the rear suspension, I know who I will be turning to when I decide to link up the front suspension, and I feel confident they will be able to handle the job and have it work as well as the rear suspension does.